U.S. Celullar needs some subscribers, so it's organized a promotion to the taste of many. 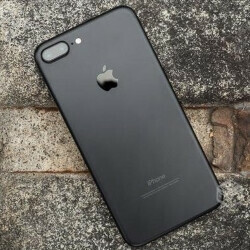 The budget-oriented carrier offers a free iPhone 7 to customers who switch and bring a working, qualifying phone in healthy condition. Examples of phones you can trade in include the iPhone 5s and the Samsung Galaxy S6. The carrier will cover the cost of the new iPhone by issuing 30 monthly bill credits worth $18.28/mo, in addition to a $100 US Cellular promo card. Moreover, current U.S. Cellular customers can buy a 9.7-inch iPad Pro and have $200 taken off of any new iPhone they upgrade to. U.S. Cellular’s Total line of service plans boast no activation fees, no monthly device connection charges, no phone upgrade fees, and no data overage fees. They include unlimited talk and text with options of 2GB, 6GB and unlimited data. Family discounts are available too, rewarding customers for adding additional lines. There's also a referral program – if a current customer refers a friend to U.S. Cellular, and the friend chooses to activate a smartphone on a Total Plan, they both receive $50 U.S. Cellular Promo Cards. That's the kind of marketing you need to survive amidst the overwhelming competition. U.S...... who??? Oh! It's that Third-Carrier on the Fi Network. Of course an iPhone 7 and not an S8 to attract people.